Coming up: AMMP Day 2015!!! Wednesday, 16th December 2015, 12-6 pm, Huxley 340. As the autumn term is winding down why not come and join us for a get together just before the seasonal break. We have organised 7 talks from Imperial College PhD students within the AMMP section of the Department of Mathematics on various different topics. We are also happy to announce that this year’s plenary speaker will be Prof. Pierre Degond . There will be a prize for the best talk by a PhD student as well as some Christmas treats for all. Lunch and refreshments will be provided to those who attend. 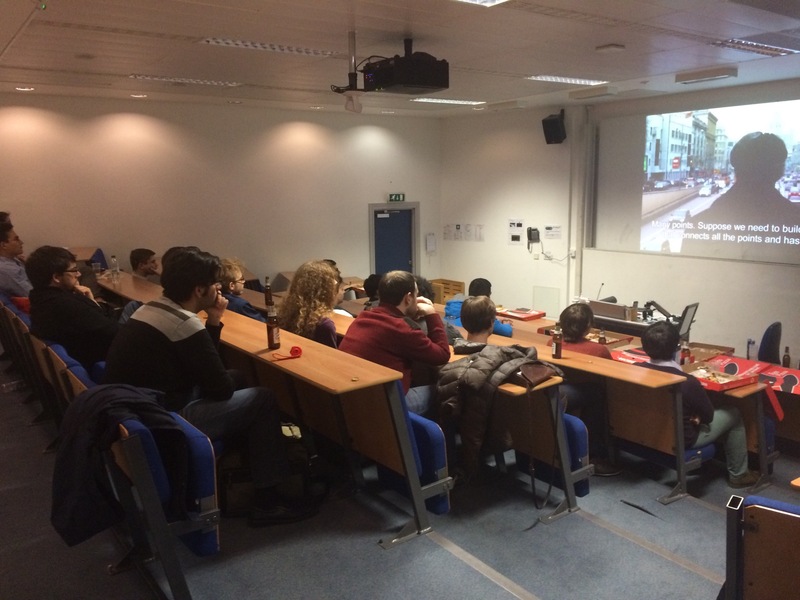 The Movie Night was a great opportunity for PhD students from different areas of mathematics to meet in an informal and relaxed environment. There was pizza and beer for everyone followed by the movie session. The movie Colors of Math shows a very inspiring perspective of mathematics through the personal view of remarkable contemporaneous mathematicians: Cedric Villani, Anatoly Fomenko, Aaditya V. Rangan, Günter Ziegler, Maxim Kontsevich and Jean Michael Bismut. If you have an idea for a film, let us know! We are happy to organize another Movie Night! Aire will be holding a workshop on Credit scoring & Applying Data to Enable Financial Inclusion on Wednesday, 25th November 6.30-7.30 pm in room 340, with networking over food and drinks afterwards. Aire is a FinTech start-up aiming to bring financial inclusion to the masses through improved credit scoring methods. Currently credit scoring is mainly based on credit history, which is definitely not a good indicator of affordability or a person’s credit worthiness. Aire is taking an new approach to it, an ‘out of the box’ thinking, building an algorithm that analyses people’s behavioural patterns to determine if they’ll be able to pay their loans and contracts. 1. Learn about credit scoring and career opportunities for PhD students. 2. Talk to industry leaders in using data to show credit worthiness. 4. Learn how Aire is shifting the paradigm solving problems with data. No prior knowledge of finance or credit scoring is required. If you are interested in attending, please put your name down here. Food and refreshments will be provided. JAMS – Save the Date! 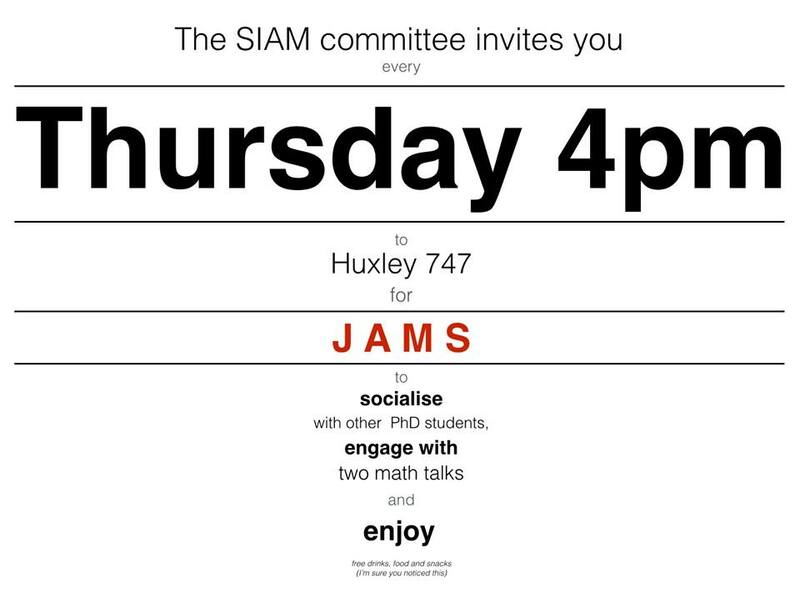 JAMS – Junior Applied Mathematics Seminars – start on Thursday, 15th October 2015 and will take place every Thursday, 4-5 pm in Huxley 747 (follow the signs as it may be difficult to find). Every week, we will have 2 short talks by PhDs for PhDs from a variety of topics in Applied and Industrial Mathematics. 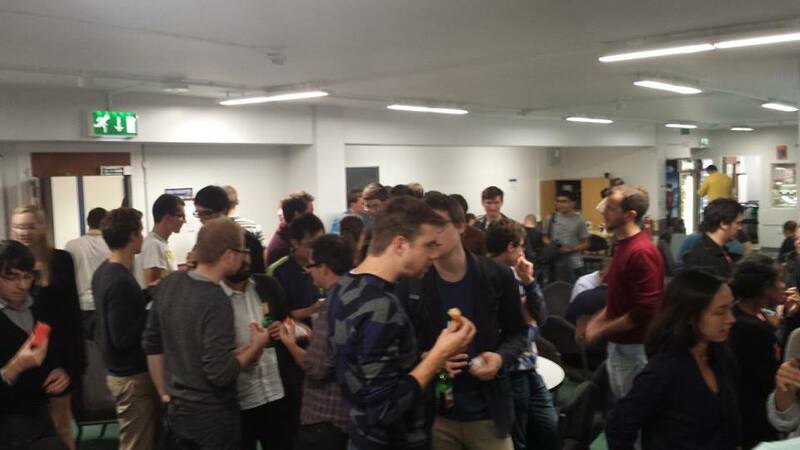 It’s a great way to meet people, become more confident in giving talks, get to know what fellow PhD students are working on, and have a break from the day with some drinks and snacks in great company. 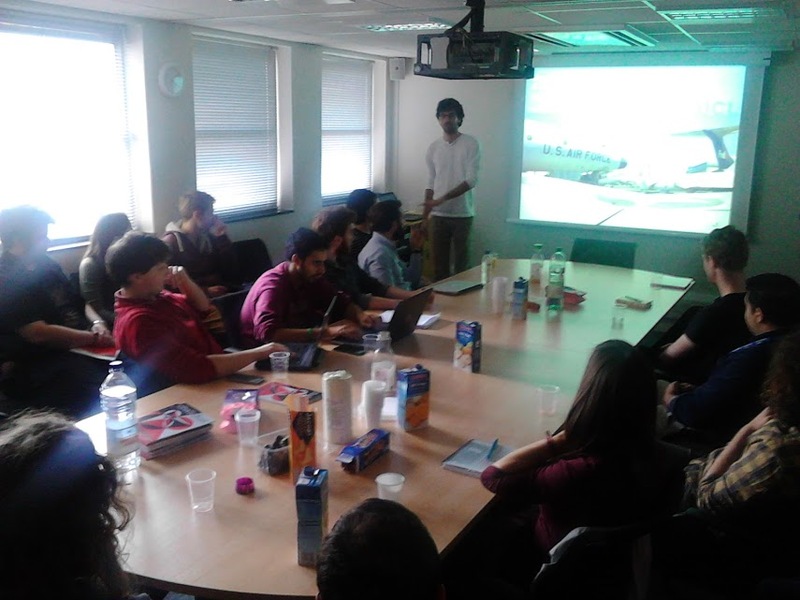 On Friday 19th June 2015 around 50 junior researchers met for the (first ever) Imperial College SIAM Student Chapter Annual Meeting 2015. Delegates came from a number of institutions including Imperial College London, University College London, University of Bath, University of Oxford and the University of Cambridge to name a few. We had three great plenary talks from Prof. Mason Porter, Prof. Ruth Baker and Prof. Robb McDonald and a rich variety of student talks on topics from the mathematics of policing, the interfacial motion of liquid crystals and how to minimise infectious disease outbreaks after natural disasters. Thanks for everyone who attended and made the event a great success! We are happy to announce that our next themed event will focus on Fluid Dynamics. The event will begin at 4pm on 18/03/2015 in room 140 of the Huxley building.